A testator, the person who makes a will, should amend his will if he wants to change parts of it in any way, however minor. Examples of changes a testator may want to make include changing the guardian of his minor children, adding pets to the will, or excluding someone from receiving an inheritance. Any change the testator decides upon will require an amendment to the will. An amendment to a will is called a codicil. The same procedures for creating a will also apply to creating a codicil. A codicil can be used for supplementing an original will, by including changes or additional measures. Pursuant to Iowa Code § 633.279, wills and codicils must be made in writing, signed by the testator, or someone in the testator's presence at the direction of the testator, and the testator must declare the will to be his own. Two witnesses must be in the testator's presence when he signs the codicil, after which the witnesses must also sign the codicil. A testator can either create a valid codicil to amend his will or revoke his will entirely and write a new one. 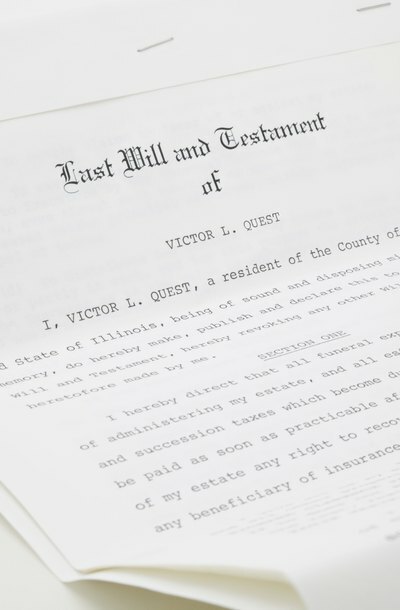 Revoking a will and writing a new one may be a better option than writing a codicil if the testator intends to drastically change his will rather than make minor changes to it. Pursuant to Iowa Code § 633.284, a will can be revoked, in whole or in part, by an act of the testator that demonstrates his intent to revoke his will, for example, by destroying it. Two competent witnesses must witness the revocation. After the will is property revoked, the testator must properly execute another will. It is a good idea to note in the new will that any previously written wills are revoked and void. Iowa Code § 633.279 permits you to amend your own will so long as you follow the procedures for properly creating a codicil. A testator is not required to have a lawyer write an amendment to his will, but a lawyer can help guarantee the proper procedures for validly executing a codicil are followed.